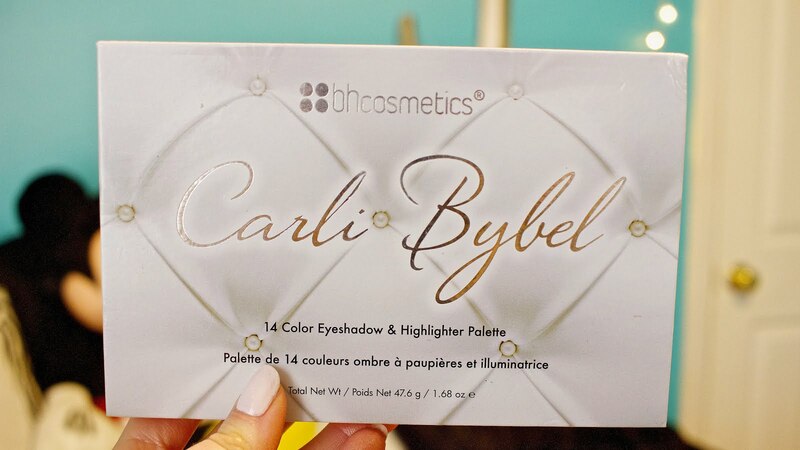 After a while of waiting, I finally got my hands on the BH Cosmetics Carli Bybel Palette! If you don't know who Carli is by now you must be living under a rock. She's a YouTube fashion and beauty guru I've loved for years, so naturally, I was excited when she announced her eyeshadow and highlighter palette. 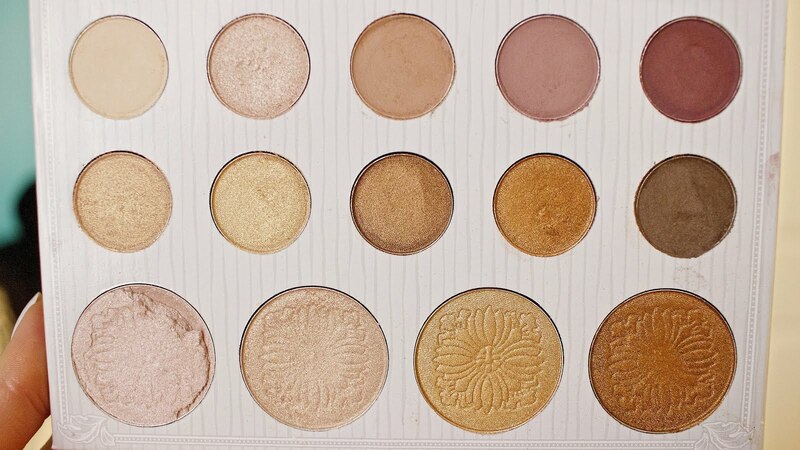 The palette consists of ten mauve/copper toned shadows and four highlighters. The packaging is basically laminated cardboard, but to be honest, I didn't expect much for it costing $12. I'm almost positive that's the reason my pearl-colored highlighter arrived broken. Packaging aside, the second thing I noticed about the palette is the overwhelming chemical/chalk scent when you open the lid. I'll be honest and say I didn't really read the reviews on this product before purchasing it, but I'm sure I'm not the only one that's noticed the scent. Aside from that, the colors in the palette are gorgeous and apply beautifully. 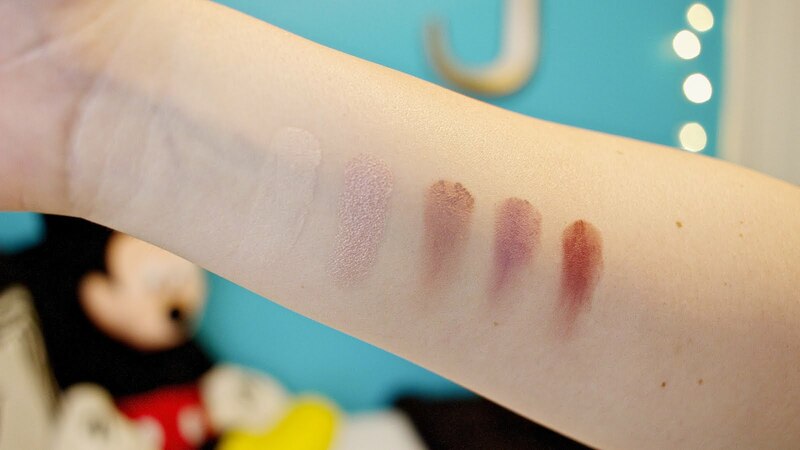 As you can see from the swatches above, the matte shades applied a bit patchy. I honestly think they apply a bit better on the lid and they layer easily. However, the shimmer shades are much more pigmented and apply beautifully on the lid ad well. The highlighters are essentially the same formula as the shadows. 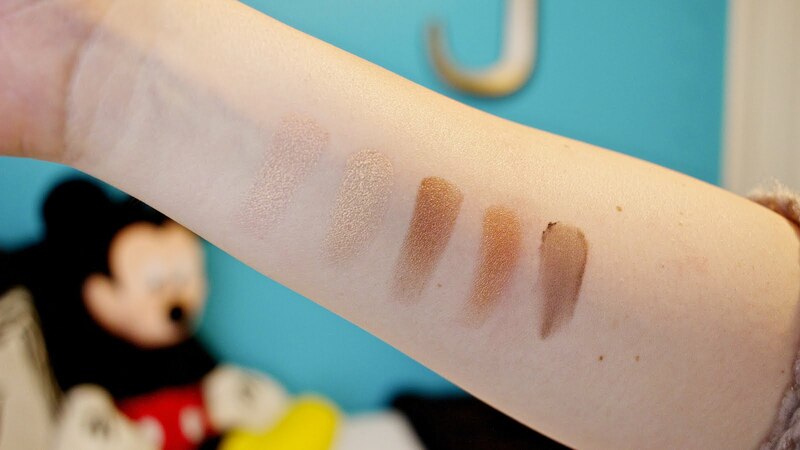 In fact, the second and the last shade are identical to two of the shadows; which was kind of a bummer. All in all, despite the scent and the packaging, I think that the formula of the shimmer shades and highlighters are well worth $12.